For those of you keen Irish racing fans we have previewed the action on Boxing Day with a detailed tip for every big race! The first of our Boxing Day Irish tips comes from Leopardstown in their first Graded race of the afternoon. A Grade 2 contest over 2m sees strong hands from two of Irelands leading trainers. We fancy Chief Justice for the Davy Russel/ Gordon Elliot combination who meets Coeur Sublime again today on similar terms as when they previously clashed at Fairyhouse. The former just got the better of the pair when they last met and we fancy him to confirm his superiority again here. Aforementioned looks the most solid option in what looks a tricky Handicap affair and isn't one of our most strongest fancies of the meeting. That said, after a lay-off and two slightly below-par performances this gelding showed clear improvement on his return to hurdling when pulling well clear at Limerick. Today seems tougher against stronger opposition and on a higher mark, though he has the assistance of leading Irish jockey Rachael Blackmore who is more than capable of assisting him shoulder this sort of mark. Up next, is arguably the best race of the afternoon at Leopardstown. 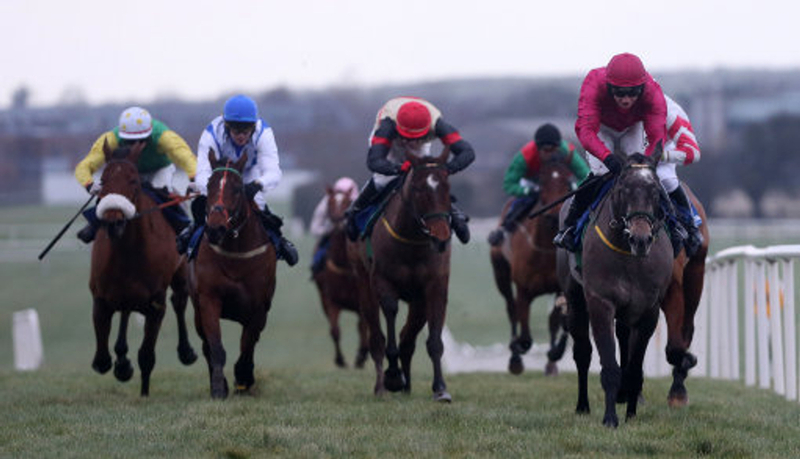 The Racing Post Novice Chase is a Grade 1 National Hunt chase, referred to as their Winter Carnival equivalent. The contest has been the Willie Mullins show in recent years, with three of his top chasers; Douvan, Min, and most recently Footpad beginning life here, although today we believe Gordon Elliot's gelding Mengli Khan has a great chance of landing this contest. Many have discussed his chances of next years Arkle at the Festival so he ideally needs to continue his upward progress here for those chances to be realistic. With the last at Leopardstown looking a tricky affair, we've decided to leave a tip on the race. However, here we have another nice looking Class 1 Handicap over 2m 1f and we fancy the Henry De Bromhead six-year old chaser, Arcenfete. This runner fell in a Grade 3 contest at Roscommon previously, but was progressing nicely prior to that with 2 chase successes from 2 starts. We feel he may be able to get back on track for his in-form stable who are currently flying and he looks sure to go close, providing he has come out of his Roscommon race in good health. The feature race of the afternoon at Limerick, sees the highly promising Getabird a strong-favourite in the betting bidding for success in the Grade 1 Matchbook Betting Exchange Novice Chase. Although he shown plenty of potential over hurdles last year, his form appeared patchy and since Willie decided the switch to chasing would suit he made a great start on Chase debut last time with a comfortable victory. His trainer, Mullins, has a great record in this race, with four victories in the last seven years and he has a live chance of continuing his fortunes here. No tip from us in the 14:35 or 15:10, but we have a nice fancy here in the 'lucky last' over at Limerick. We like the look of Larquebuse in this Class 1 Hurdle contest over 2m. This four year-old made the perfect start to his racing career for less-known connections, but bolted up by an impressive 8 lengths in a point-to-point back in March, leaving his rivals well behind. Having been purchased for top connections shortly after, this Cheveley Park Stud representative could be one to keep an eye on closely for the remainder of the season.